Ready to Dominate Your Market Like Never Before? Our Law Firm Online Marketing Program Can Get You There Faster! Do you currently have a website but aren’t satisfied with the traffic and leads generated? Are you busy running your practice, with little time to devote to online marketing and law firm SEO? Do you know you need to do something to increase your web presence but aren’t sure where to start? Are you having a hard time tracking your marketing and ensuring that every dollar you spend produces a positive ROI? Have you been working with a “Law Firm SEO Company,” only to find a lack of growth or a decline in traffic and leads? Are you sick and tired of getting calls and emails from “Law Firm SEO Experts” offering sure paths to success? If you’ve answered a resounding “Yes!” to any of these questions, you’re not alone. “What Happened to My Website Traffic?” This question has become all too popular among lawyers as of late. For the last 10 years, an eternity in “internet time,” the core strategy used by most law firm SEO firms was centered around manipulating Google rankings, or using “back-linking” (generating a large number of links from other websites to yours). The goal of these tactics was to fool search engines by making law firms’ websites appear to be larger and more authoritative than they really were. Oftentimes, law firm SEO firms acquired links from websites that Google deemed “spammy” or low quality. Every day Google brings to bear limitless resources to bridge the gap between “man and machine.” Google’s ultimate goal is to provide a great user experience, connecting searchers with the best, most relevant results possible. And you’d better believe, Google is getting very good at weeding out low quality websites and spammy law firm SEO tactics. The bottom line is that traditional Law Firm SEO is dead and content marketing is here to stay. Large “all in one” legal services firms – These large “oil tankers” are the behemoths of the legal industry, offering a wide variety of services to attorneys: legal software, research, lawyer directory listings, law firm SEO and even law books. Unfortunately, like many excessively large vessels, these tankers have found it difficult to navigate the ocean of Google changes, leaving large numbers of law firms shipwrecked when it comes to their web presence. What is Law Firm Content Marketing? Content Marketing is Google-friendly - Instead of focusing on backlinks, which can be de-valued or completely evaporate at any time, law firm content marketing focuses on building a growing a repository of quality content that will attract, engage and compel you target audience to take action (contact your firm) for years to come. Content marketing generates long term business growth - Let’s say your firm, or designated online marketing agency, created a handful of properly written and optimized blog posts each month. After just one year, you would have a much larger website, with 50, 100 or even 1000 unique pieces of content that will each work to generate traffic and leads indefinitely. Bigger websites get more traffic - Sometimes, less is more, but not when it comes to online marketing and lead generation. Every time you create a blog post, a white paper, or some other piece of content, you‘re adding another page to your website. The more content you publish, the better chance you have to rank well for a more diverse set of keywords and phrases. More content equals more traffic, and more traffic equals more leads. People demand answers to their legal questions - Every day, people in your area are searching for answers to specific legal questions. Those firms smart enough to answer these questions become market leaders. While many lawyers voice initial resistance to this education-based content marketing strategy (“I don’t want to answer questions and have these clients go and hire another attorney. I want to get them in my office for a consultation!”), the fact is that by becoming the source of this much-needed (often urgently needed) information, you reach your target clients first and establish trust and authority long before your competitors. Content marketing attracts "long tail" traffic - A key concept missed by many lawyers is that the vast majority of Google searches (up to 70%) represent questions - “How long does a divorce take?” or “Can I keep my car in Bankruptcy? Developing content that targets these long tail keywords, (search terms containing more words than “short tail” search terms like “Denver Bankruptcy Lawyers”) is the key to generating exponential growth in traffic and qualified leads. Content marketing started long before search engines, SEO companies and even the internet. Law firm content marketing is the most proven, time-tested, cost-effective, and powerful marketing strategy on the planet. How will your firm leverage content marketing to capture the current stampede of consumers searching for answers to their legal questions and secure a strong position for long-term sustainable growth? Our new Law Firm Online Marketing Blueprint is a powerful and unique content marketing system designed to make you the leader in your legal niche. If for any reason you’re not happy, within the first 30 days of joining the this program, just say the word and we’ll refund all monies paid to Best Legal Practices within 24 hours (next business day), no questions asked. Why Partner With Best Legal Practices? 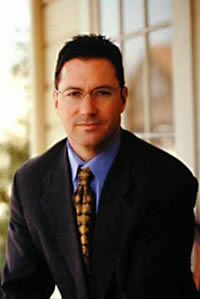 Terence Daniel Doyle, Doyle Golde Grossman Family Law Group "Our firm needed an online presence that reflects the high level of expertise and talent we provide our clients. The process Best Legal Practices used in helping us achieve this was exceptional...we are extremely pleased with the results." 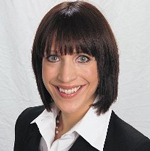 Milda Goeriz, Womens Divorce Center "My new law firm website vastly exceeded my expectations! I chose Best Legal Practices, as they conveyed the highest level of expertise in legal marketing and were able to explain SEO and online marketing concepts clearly."